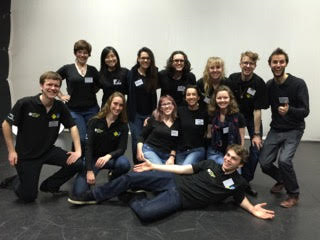 The Baden Street Singers organised a full day of A Cappella Harmony workshops on Saturday, 6th of August from 10am to 4pm at the Shenton College campus; aimed at high school students (years 8 -12) who have an interest in singing. Multiple streams were offered by our extensive faculty, catering for all levels of experience: from the novice singer to the seasoned auditioned choral singer. The aim of the workshops was to provide a highly engaging musical experience to a wide range of attendees, allowing like-minded students from different schools to connect over a rewarding performance experience. The students also developed collaborative ties with The Baden Street Singers, and thus be exposed to a high quality music ensemble exemplifying the “post high-school” music opportunities currently available in Perth. We had 40 participants on the day, representing 4 different schools across the Perth metro area. The level of enthusiasm and commitment that the participants brought with them meant we achieved great things in a very short time - exploring the meaning behind the song an inspiring the kids into giving a powerful performance of "Titanium". We (the Baden street singers) were so impressed that we decided to invite the kids to join forces again with us and perform "titanium" on stage with us in our upcoming concert on the 19th September. Already, 6 kids have grabbed the opportunity to do so. We're very excited to have had a chance to work with alex, Carole and Bec, and feel confident about running more of these workshops in the future. We're also grateful at the opportunity to strengthen our collaboration with these mentors over the next few weeks, in the lead-up to Newcastle.